for my interest in computers. Hard to believe that, before Wolfenstein, computers bored me!!! id software defined the 3D action gaming scene as we know it today. Castle Wolfenstein, a high security fortress. Adolf himself! Although the A.I. (artificial intelligence) may not have been on a par with today's more sophisticated 3D games, enemies still act quite "cleverly" in their pursuit of you, the gameplayer. 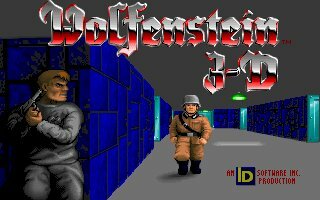 set themselves with Return to Castle Wolfenstein." it doesn't try to take itself too seriously, and excels at what it was designed to do - be fun! decide to release these titles as "freeware", then, and only then, will we post them here.